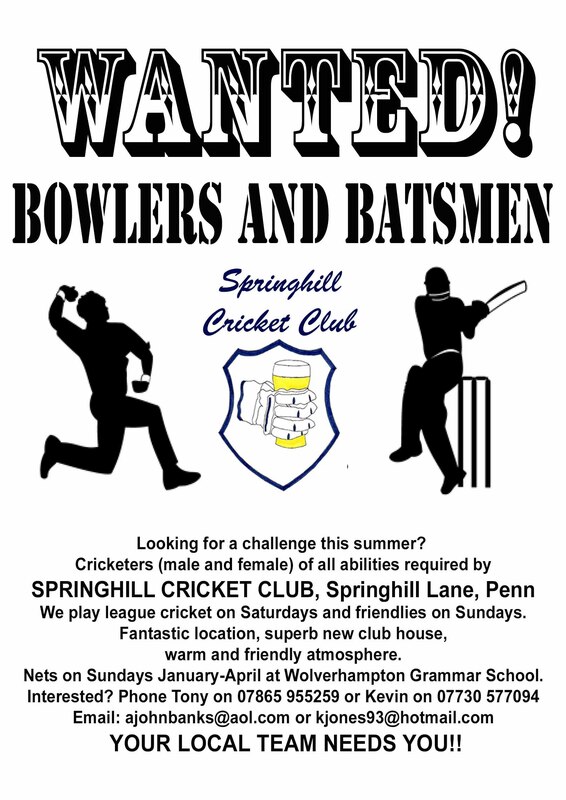 Springhill Cricket Club are looking for new players (and supporters!). 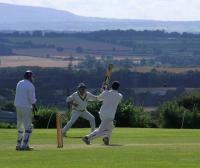 We have a spectacular new clubhouse at one of the most picturesque grounds in the region. We have 3 league teams playing Saturdays throughout the summer and a friendly team playing most Sundays. 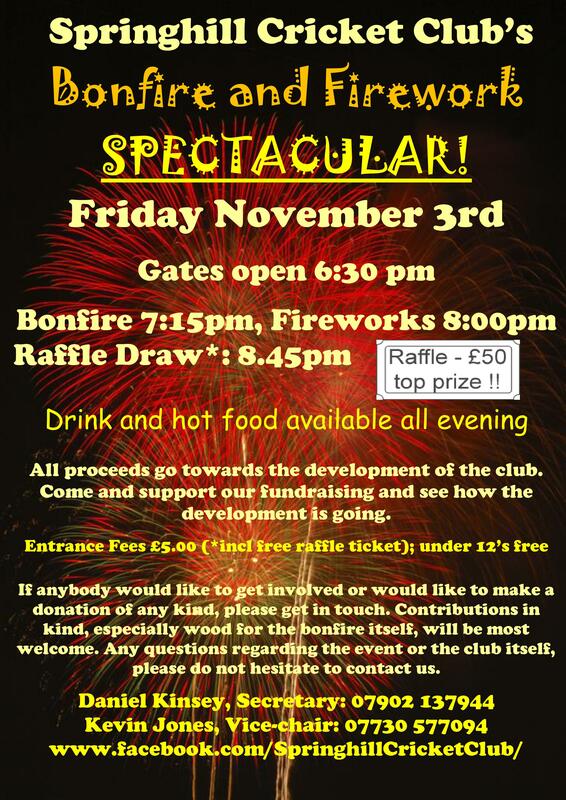 Our club is located on the top of Springhill Lane, on left after after Springhill Park. 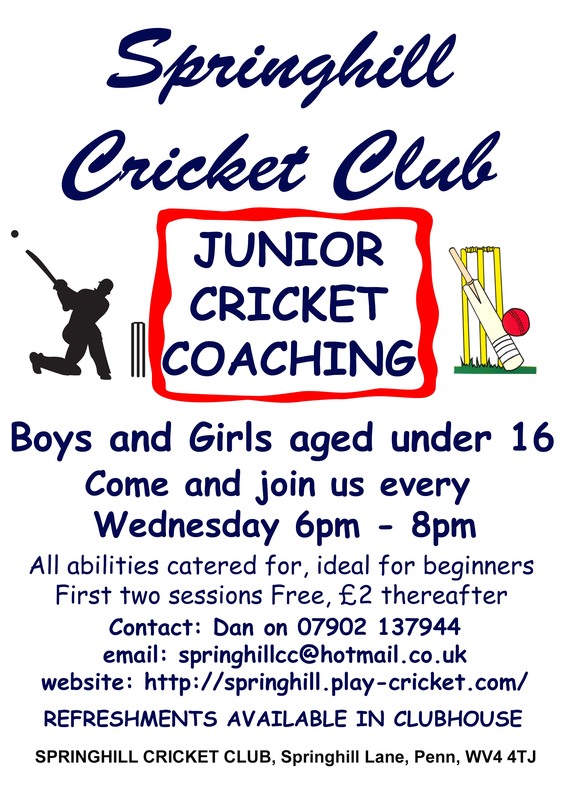 Junior coaching (under 16's)takes place between 6pm and 8pm every Wednesday through the summer, see advert attached or contact Dan Kinsey for further information. 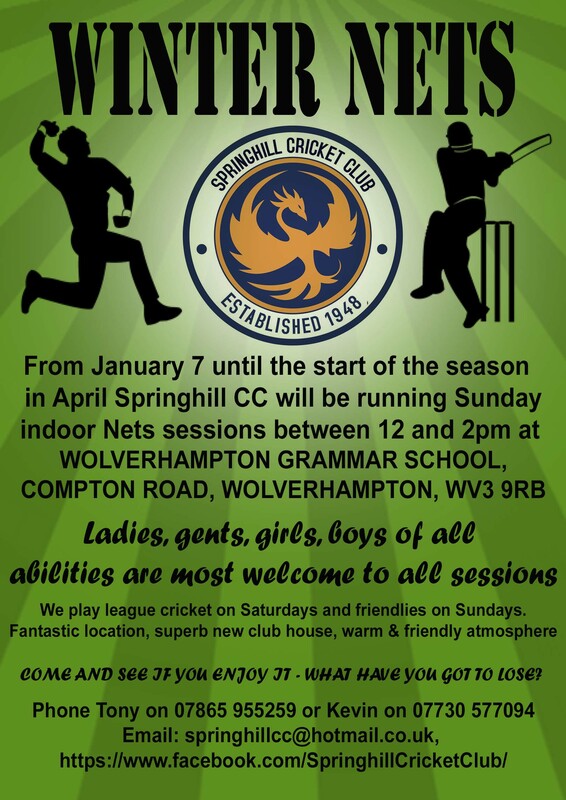 Winter nets sessions take place every Sunday between midday and 2pm at Wolverhampton Grammar School, Compton Road, Wolverhampton, WV3 9RB between January and April. 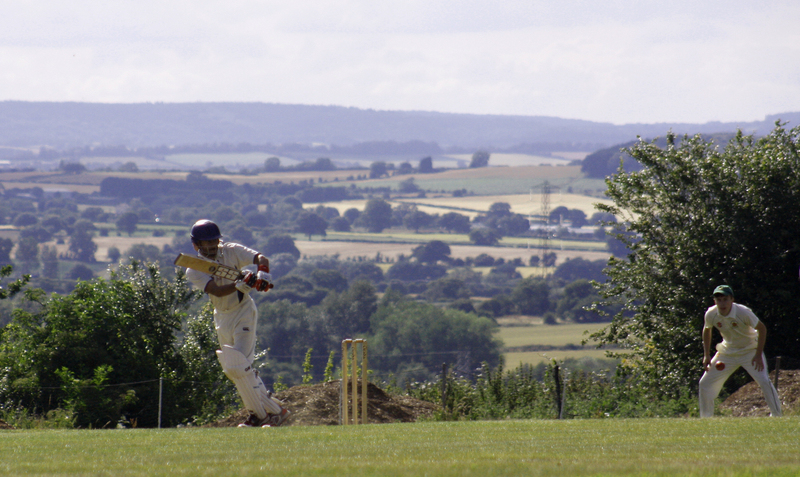 The cost for these sessions is usually £3 per session. 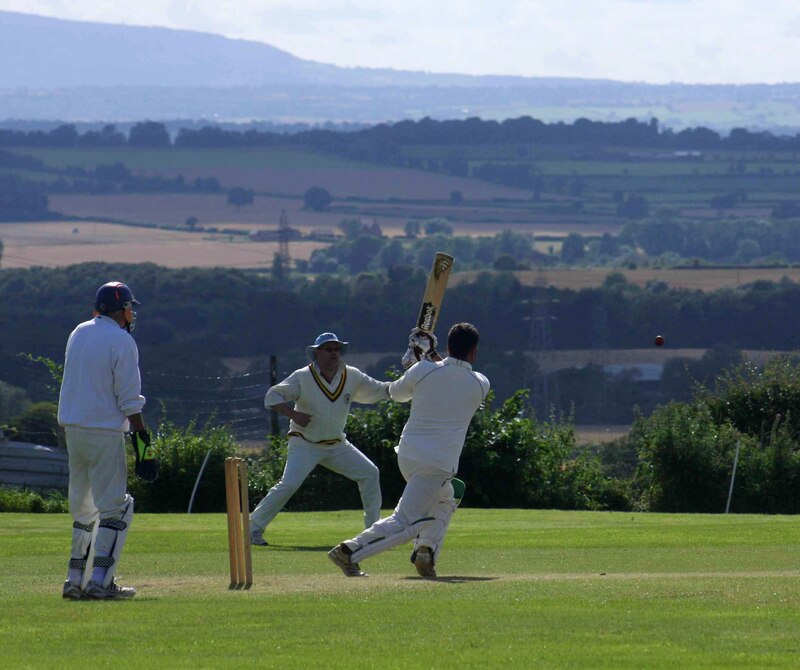 We are a friendly club trying to build up some strong local support, if you are interested please get in touch, we would like to hear from you and appreciate any support you could offer. 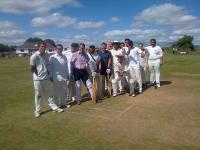 Please refer to the gallery section of this page for further details about our Summer activities.